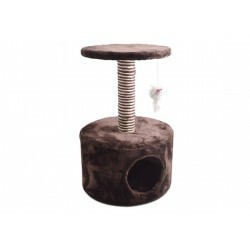 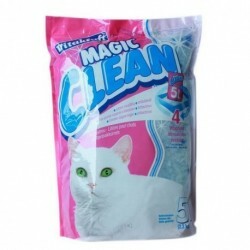 Cat There are 12 products. 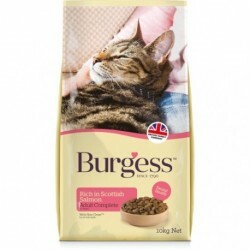 Burgess Adult Rich in Scottish Salmon is high in protein, with natural antioxidants and taurine; Stay Clean coating for healthy teeth and gums, no artificial colours or preservatives. 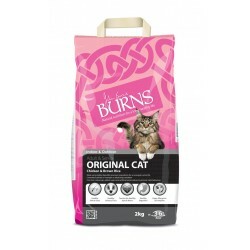 Burgess Mature with Turkey and Cranberry high in protein and oil, fortified with cranberry for urinary tract health and glucosamine for joint maintenance. 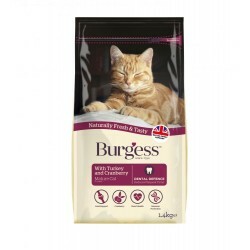 Burgess Adult Rich in Chicken with Duck is high in protein, with natural antioxidants and taurine; Stay Clean coating for healthy teeth and gums, no artificial colours or preservatives.